Come see what all the hype is about with the original CLASSIC Tron film, followed by its 20-some-years-later sequel, Tron: Legacy. Both Star Jeff Bridges...in one form or another. Tron has a distinctive visual style, as it was one of the first films from a major studio to use computer graphics extensively. TRON also existed as the TRON command in the early versions of the computer programming language BASIC (an acronym for Beginner's All-purpose Symbolic Instruction Code). TRON stood for TRace ON, which prompted the program to print or display line numbers for each command line of a program as it ran, in order to assist in the debugging of the program. 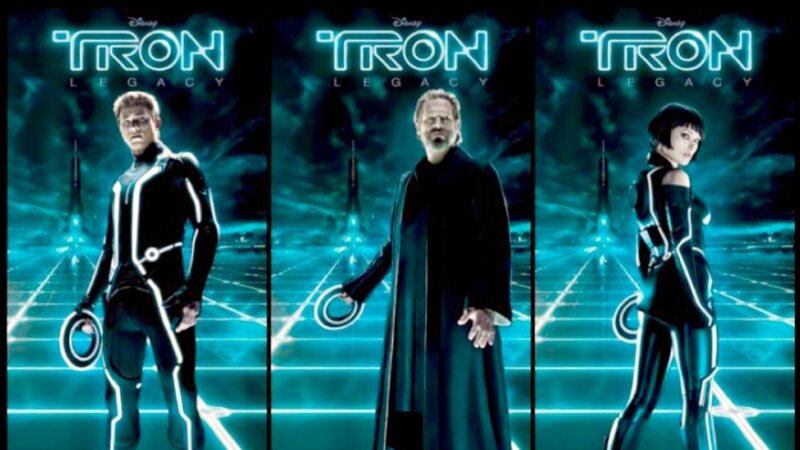 In the TRON film, TRON became a character who worked in programs to defeat evil elements trying to subvert the program. Our food truck is scheduled to be Molecular Munchies this night. Tron: Legacy (2010), In the years that follow the end of the original Tron we discover Kevin Flynn (Jeff Bridges) returned to “The Grid” (The world inside a computer where this and the original film are largely set), then one day on the verge of what he believes to be a world changing discovery he disappeared. Twenty years later his son, Sam Flynn (Garrett Hedlund), now 27 is the majority shareholder in Flynn’s software company but has no involvement in the day to day running of the company. Then a mysterious pager message via Alan Bradley (Bruce Boxleitner) leads him to his dad’s old arcade and in turn onto The Grid. This gives him the chance to find out what happened to his father all those years before, but first he has to survive the games much like the ones seen in the original movie. I don’t think it can be classed as a spoiler (its in the trailer) to say Bridges, plays a duel role, his second character is Clu, a computer version of Flynn with a CGI facelift making him look something like he did in the 80’s.